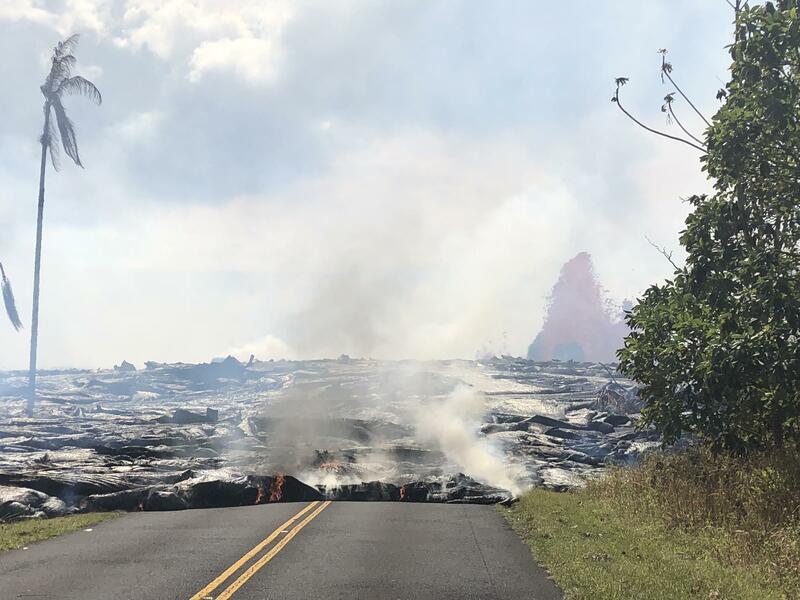 Pahoehoe lava advancing west from fissure 7 (lava fountain in background) on Leilani Avenue. Hawaiʻi County Fire Chief Darren Rosario says his crews are working closely with the Hawaiʻi Army National Guard Combat Support Team. They’ve helped with evacuations, but that’s not all. 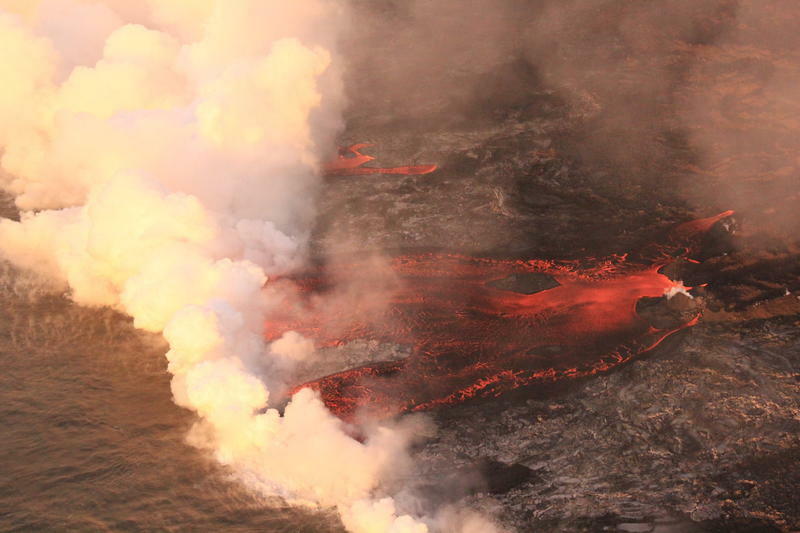 A week ago, when lava crossed Pohoiki Road in two places, people were trapped between the flows. The Fire Department rescued four people that evening. The Maui Incident Management Team has members on island. Hawaiʻi County Fire has established a fire and medic unit for the Leilani Estates area. That ensures the Pāhoa Fire Station, one of the busiest on the island, can continue its regular duties. There has been one brush fire so far. Chief Rosario says high sulphur dioxide levels made it unsafe, so he ordered residents to evacuate and let the fire burn itself out. 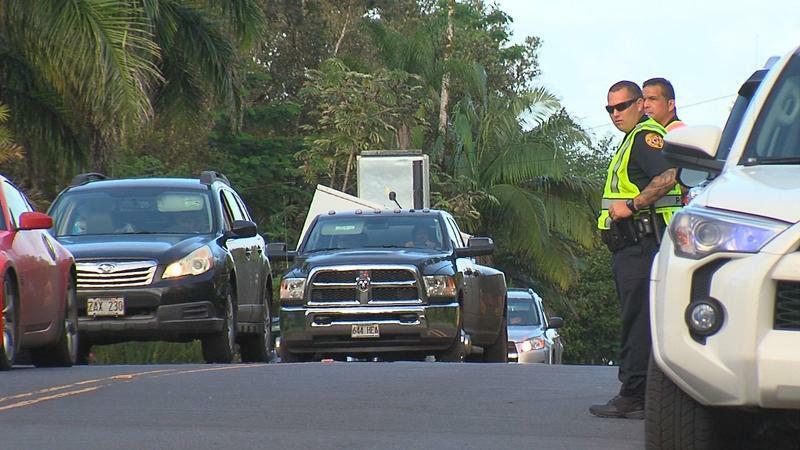 The Chief says his job is to support Mayor Harry Kim’s desire to allow residents to be in the lava flow area. But he also says that means both civilians and rescuers can be jeopardized by lava and SO2.